In the past few years we have seen several companies launching the most sophisticated and innovative mobile phones. With every passing year and even months there are new and up to the class gadgets. The way the technology is changing and updating, it is quite difficult to keep our gadgets up to the date. This year we have iPhone 6 and next year it is going to be iPhone 7 and similar is the case with Samsung. Galaxy S6 is on the way in April and next year it will be S7. We are always left with used and old mobile phones that are laying useless in our home. In order to get the most out of it, it is recommended to sell them for extra cash. You can sell your mobile phones in the local markets but if you are tech savvy then there are several online websites where you can sell your phones. When I was searching to sell my old mobile phone, I found this very good website SellMyPhone.co.uk which is one of the best among the others. So I though to share it because it will help someone to sell his old phone. The following are reasons why SellMyPhone.co.uk is better than others. As compare to other companies they provide high rates for your mobile phones. Every seller is in the look for better prices and that is how it is the best recommended website for you. On the Home Page of the website there is a search box. You can enter your mobile model and the website will return with the prices for your mobile phone. Just make sure to select the phone according to the specification of your phone. Once done click on the Sell Now button to proceed with the process. Unlike other websites, their process is very easy and straight forward. After clicking on the Sell Now button you will be provided with a simple form. Just fill in your details and select the method of payment. Once done free post the mobile phone on the address of the company. Once the mobile phone is reached on the address of the company. They will inspect its condition and if everything is ok, the payment is issued on the same day. This is the best part because most of the companies hold the payments for weeks which is quite irritating for the sellers. They also allows you sell your old and used tablets. You can sell Apple, HTC, Samsung, Blackberry and Sony Ericsson, Sony and LG mobile phones on the site. 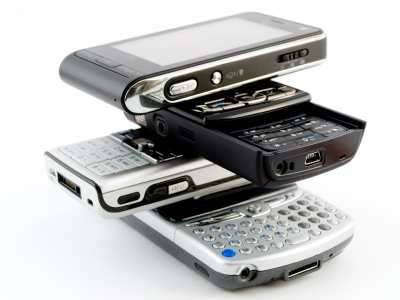 If you are planning to sell your old mobile phones that it is highly recommended to sell it with them.